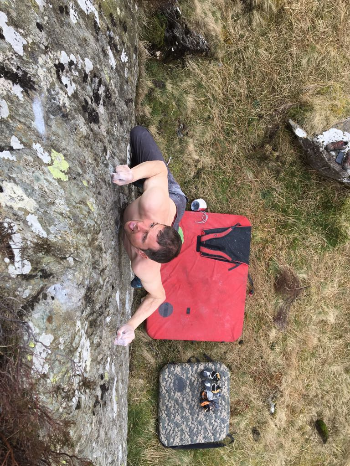 Pete Robins has climbed a stunning line on a collection of walls in the Ogwen Valley. The mini crags, which sit opposite Capel Nant y Benglog on the Tryfan side of the A5, were first developed by Jon Ratcliffe in the late '90s. Jon climbed all the obvious grade 6 lines to produce a fine brace of problems, some of which are quite highball. However, in those pre-CROW (Countryside Rights of Way act) days he was concerned about the access situation so didn't publicise it. The best approach is via the Gwern Gof Uchaf farm/campsite. From the back of the farm head left along the old road/track (towards Capel Curig). Once over the stream turn right and access the open land via a gate. Trend leftwards for a few hundred metres to the obvious mini crag. 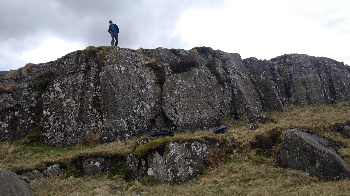 There is a smaller crag further back with a few good grade 6 lines too.